Ever since I found little red heart buttons at Joann's, I've been desperate to use heart buttons for everything. I first used red heart buttons in these darling felt state ornaments, and I was so excited when I thought up another idea for heart buttons, albeit the ones used here are white. I love these angel ornaments in part because of the heart buttons but also because angels are so indicative of the true meaning of the holiday season. Historically, God used angels as a means to communicate with people on Earth. He sent an angel to tell Mary the news that she would become pregnant with the Savior of all people. These ornaments are extra special for me because they serve to remind me that while I'm planning my life here, God's the master planner. Trust me, I need that reminder! Print and cut out the angel template. Cut out the felt pieces needed for the angels. You'll need two angel pieces per one angel ornament. Sew on one white heart button per angel ornament. Using needle and thread, sew a loop on the back angel piece. 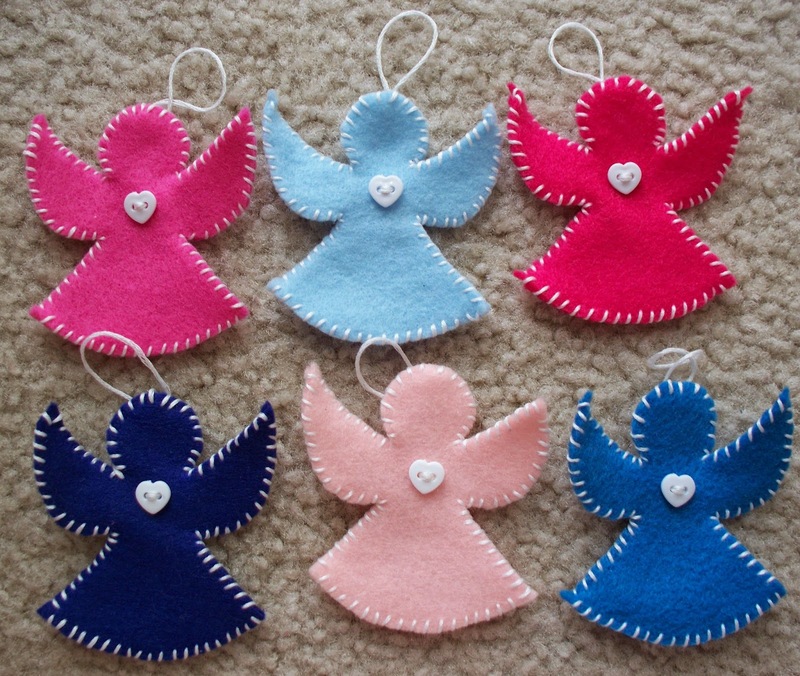 Pin the two angel pieces together and using the straight whip stitch, sew the two pieces together. Pretty simple! These ornaments are not very time consuming and would be perfect for a beginning sewing project for littles. I love these! I want to make them for gifts this Christmas. Thank you for sharing!